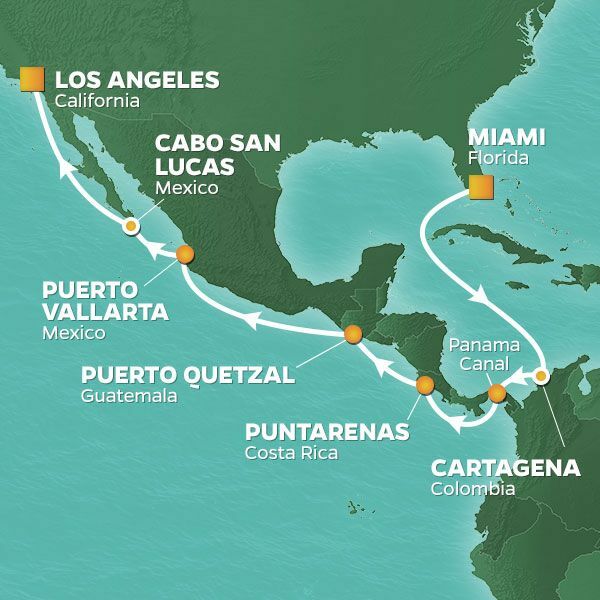 Complimentary, exclusive and unique Virtuoso Voyages event in Puntarenas. Click on Virtuoso Voyages tab for complete details. 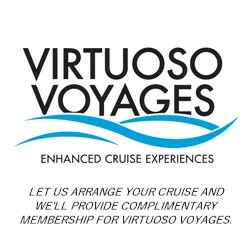 When you reserve this cruise through us, your Virtuoso Travel Specialist, you automatically become a member of the prestigious Virtuoso Voyages, entitling you to a wealth of privileges and complimentary amenities - including a unique and exclusive shore event not available to the general cruising public. NOTE: You may choose this exclusive shore event, a personalized experience credit good toward an exclusive Virtuoso product, or an onboard spending credit. Ask us for complete option details. 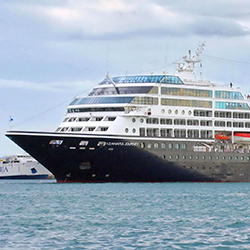 Credit amount may vary based on stateroom category booked. Credit may not be offered in all categories. Our Pacific port of Puntarenas is a privileged gateway to some of Costa Rica's most impressive tropical wildlife. We'll get a front-row seat on the action on a boat ride on the Guacalillo Estuary and the Trcoles River. The estuary is noted for its mangrove forests, which provide essential habitat to many endemic birds including cuckoos, hummingbirds, vireo, Panama flycatchers, and graceful herons and egrets. This area is also critical for the conservation of the beautiful scarlet macaw; while this species spends most of the day in the forest, it roosts only in the mangroves. On the Trcoles, we'll see sea birds and shorebirds, but perhaps most exciting are the crocodiles. The shores of the river are home to huge colonies of the fierce reptiles, and sightings are guaranteed. Following our cruise, we will transfer to Macaw Lodge, a totally off-the-grid eco-lodge and a pioneer in conservation. We'll tour the property and discover its innovative sustainability practices and agricultural products, from vermiculture (worm composting) to aquaculture, cacao to coffee. We'll have a tasty lunch of local specialties before transferring back to the pier. Suggested Attire/Walking Notes: Casual attire with shorts, hiking shoes, sunhat/sunscreen, and insect repellent recommended. PLEASE NOTE: All Virtuoso events ashore are capacity controlled and require a minimum number of participants to operate. Events are subject to change without notice. These events are individually tailored for each date and arrival. Your event could be different than whats noted here; but it will be designed to be memorable and to bring you a travelers view that you will treasure, and would otherwise miss entirely. Final details will be outlined in program letters provided by your Virtuoso host aboard ship. Immerse yourself in a melting pot of cultures with this 3-night City Stays Package in Miami. Embrace Miami's Latin culture in Little Havana before discovering its vibrant art scene and stunning art deco architecture. Explore the rhythm and soul of Little Havana with a cultural anthropologist as your guide. 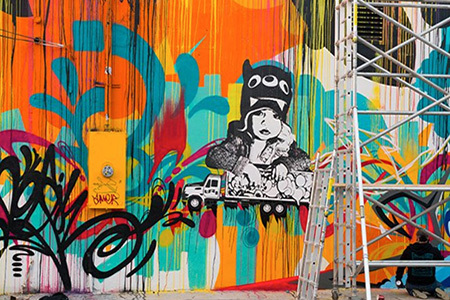 Get a new and exciting perspective on the Miami art scene during a graffiti art tour of the Wynwood Arts District. Go to the studio of a local street artist and learn how to create your own piece of art. Enjoy an exclusive tour of Miami's Art Deco scene-including South Beach and the Miami Beach Architectural Historic District. Have lunch at two of the city's trendy restaurants. Your stay in Miami includes three nights' accommodation, select meals, and transportation services from the port or airport to the hotel, concluding with a prearranged driver taking you to the airport or port, depending on if this is a pre- or post-cruise package.